As you begin your engagement with ICANN, keep in mind that everyone was a newcomer once; we have all had that same overwhelmed feeling when looking around the ICANN website or participating in an ICANN meeting for the first time, trying to understand all of the pieces and parts that make up the ICANN community. Our goal here is simple: to share some key areas of our website for you to explore in order to gain an understanding of ICANN's mission and the bottom-up, multistakeholder model that supports it, as well as how YOU can start to participate in the important work that affects you, your region and the global Internet space. As you continue your journey, a glossary of terms might be helpful in order to better understand some of the words and concepts. You can research the various acronyms in multiple languages here. 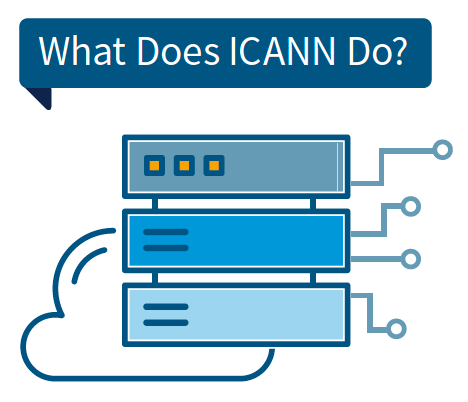 What Does ICANN Do and How? ICANN is a not-for-profit public-benefit corporation with participants from all over the world dedicated to keeping the Internet secure, stable and interoperable. It promotes competition and develops policy on the Internet's unique identifiers. Through its coordination role of the Internet's naming system, it does have an important impact on the expansion and evolution of the Internet. Learn more about what ICANN does here. Need an introduction to the Internet Corporation for Assigned Names and Numbers (ICANN)? Learn what ICANN does, why you should participate and how to become involved and informed. Top Level Domains (TLDs) – Promoting Consumer Choice and Competition – read all about it here. Secure and Stable Single, Interoperable Global Internet – learn more here. Bottom Up Policy Making – It's All About YOU! The IANA Function – What Should You Know? Who Is Doing the Work at ICANN? A community of volunteers from around the globe, with support from the ICANN organization (staff). There is representation from all sectors in the ICANN multistakeholder model. These individuals / groups work year round, not just at ICANN meetings. and need YOU to jump in and add your expertise and voice! Click to learn more about our Communities. This Is Starting to Make Sense – How Do I Learn More? Your starting point is our Online Learning Platform, ICANN Learn, which provides the opportunity to take "courses" related to ICANN: ranging from what an ICANN meeting is like, to how policy is created, to specific information about the community groups that make up the multistakeholder model. Individuals and Communities can also develop courses of their own, so new ideas and content are being generated on this platform every day. At ICANN meetings, the Newcomer session and the ICANN information booth are two resources which are available to help familiarize new participants to ICANN and the Community. The day long Newcomer session is highly interactive, with members of ICANN's organization and community sharing information, experiences and expertise about ICANN, its work and how to participate, get engaged and bring your own voice into the policy-making multistakeholder model of work. Additionally, ICANN offers two travel-based programs: NextGen@ICANN, which provides an opportunity to experience ICANN through customized programming for selected 18 to 30 year old students who live and study in the region of the ICANN meeting; and the Fellowship Program, a globally inclusive program that provides a guided, fast track experience to those individuals who express interest in engaging in the work of ICANN but may not have the opportunity to attend an ICANN meeting in person without funding. Keep an eye out for applications to both these programs, announced on the ICANN homepage under News & Media. How Can I See All of This In Action? Attend an ICANN Meeting in person or participate remotely. If you have any questions about how to start participating in ICANN or would like assistance in connecting with staff or community, please email us at engagement@icann.org.